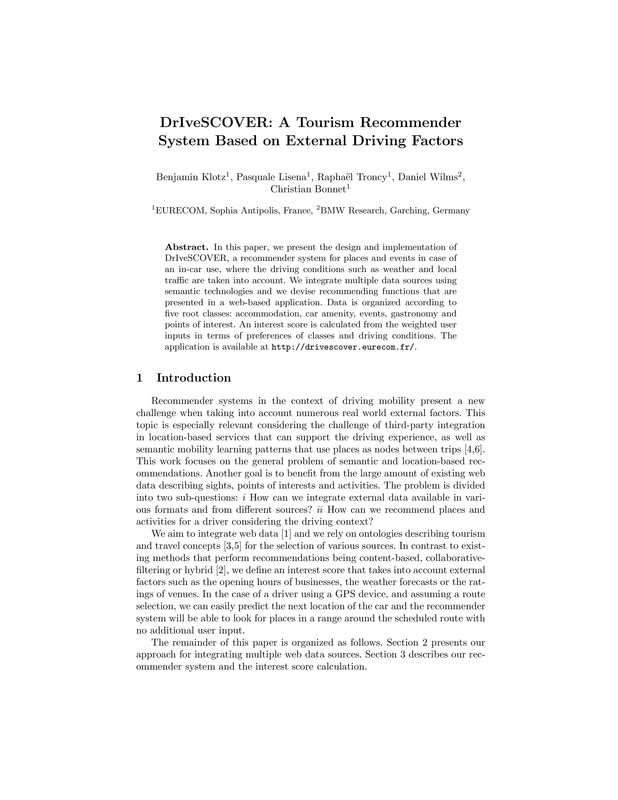 In this paper, we present the design and implementation of DrIveSCOVER, a recommender system for places and events in case of an in-car use, where the driving conditions such as weather and local traffic are taken into account. We integrate multiple data sources using semantic technologies and we devise recommending functions that are presented in a web-based application. Data is organized according to five root classes: accommodation, car amenity, events, gastronomy and points of interest. An interest score is calculated from the weighted user input in terms of preferences of classes and driving conditions. The application is available at http://drivescover.eurecom.fr/.